Neeee-nawww neeee-nawww neeee-nawww! 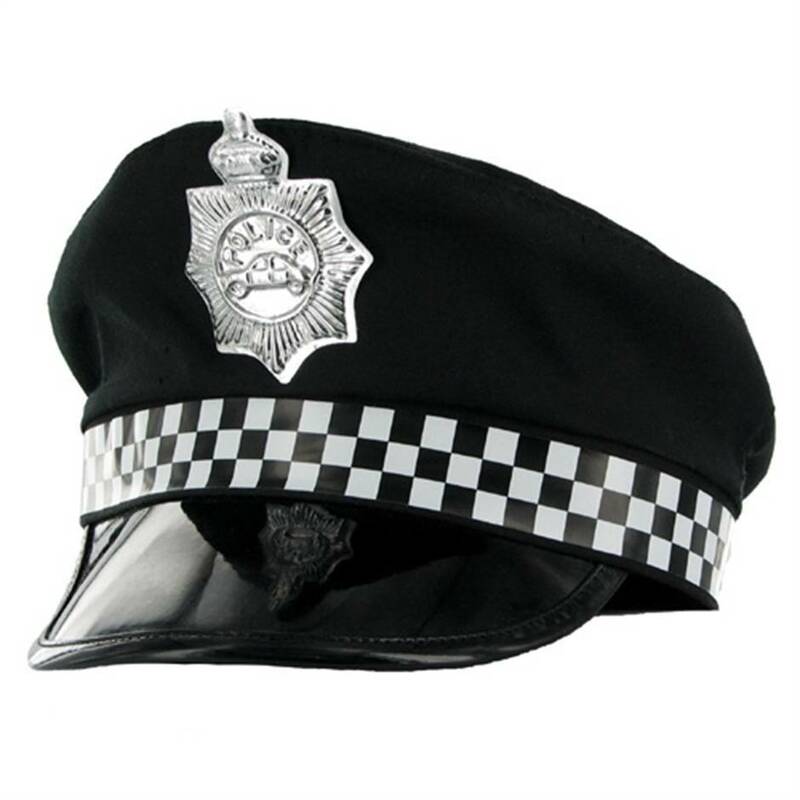 A classic, smart police hat with black check fabric band. Come with me, sir! Order over the phone: Call 0333 103 6969 and quote code 2776. A fantastic way to top off a policewoman look, or a perfect accessory to a naughty Hen Night. Police hat measures 10.5 inches long by 3 inches high. We ordered this hat along with the police truncheon for a bit of fun. As always with Lovehoney, it was delivered super fast. It's a great simple hat. It looks great on the misses, and fits me perfectly, too. It's great for the money, and is perfect for a bit of roleplay. I would definitely recommend. Great, fun, simple and cheap. Bought this for Halloween. Didn't actually go out but brought it out to show my friends and had a good giggle. I was worried it wouldn't fit but it fits my head really well and has a cute design. Really good for dressing up at Halloween. It was a fantastic price as well. A must buy if your dressing up as a police officer for Halloween. Well, I got this for free using my points, as it's something I have been meaning to get for some time. Even if it wasn't free, it was really cheap, so can't complain. For the price listed, it's good value. Pretty sturdy and looks good. Not going to be patrolling the streets wearing it anyway. Some costume hats look pretty tacky but this isn't bad at all! I don't plan on wearing it in person, but on webcam (and in my photos) it looks great! Looks quite authentic, and good quality for price.